Disaster can strike when you least expect it. Recent world events, such as hurricanes and wildfires, demonstrate how important it is to have a plan when the unexpected becomes a reality. The theme of this year’s National Preparedness Month in September is, “Disasters Happen. Prepare Now. 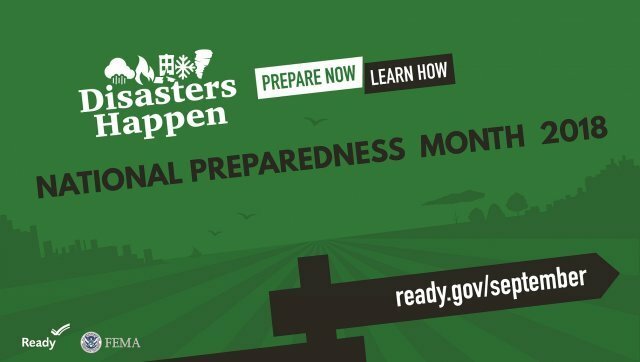 Learn How.” The U.S. Army Installation Management Command emphasizes the importance of preparing ourselves and our families now and throughout the year. The garrison EM team helps the community prepare by providing guidance on critical items needed for sustainment, as well as what to do, where to go, and who to contact in the event of a disaster or emergency, explained EM specialist Jeremy Watson. “In the event of an emergency, the garrison will provide temporary shelter, food, water, medical support and more,” Watson said. 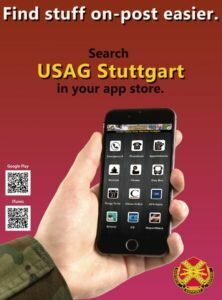 During an off-post emergency, the first line of help for mass care services will be the Bundesanstalt Technisches Hilfswerk – the German federal agency for technical relief – which will have a liaison for U.S. personnel present once the EM team engages, Watson explained. EM also encourages community members to familiarize themselves with Ready Army, the Army’s proactive campaign to create a culture of preparedness. The campaign emphasizes four key pillars: Be Informed, Make a Plan, Build a Kit and Get Involved. Watson explained that the best way to stay informed is by registering for the garrison’s mass warning notification system, AtHoc. Watson noted the importance of keeping your information up to date in the AtHoc registry to ensure you receive these updates. To register for AtHoc, click the AtHoc button on the left side of the garrison website at www.rp.army.mil. Registration is available to all Common Access Card holders, and these users may register their dependents for updates well. Families should make and practice emergency plans. The Department of Homeland Security’s website (www.ready.gov) provides checklists to consider when creating plans and provides downloadable starter plans for parents, kids, commuters, pet owners and more. Watson explained whether the emergency is natural or man-made, critical infrastructure may be damaged and could leave those affected without power, water and sewage for several days. “During those first few critical days, we are focused on search and rescue operations, mission assurance and continuity for our Army units, infrastructure, and last but not least – our Army community. It may take a few days for the cavalry to come and help those affected, so we ask that you prepare by having at least 72 hours of provisions on hand,” Watson said. He listed canned goods, water, baby and pet supplies as a good starting point. While preparing provisions, Watson said not to forget about important documents such as certificates, passports, ID cards and even local currency. “Take the time to copy those documents to keep with you should you be away from your residence or separated from one another. For those living off post, keep a bill showing your residence. Without it, local authorities may not let you back into the area,” he explained. For assistance making a plan, building a kit, or any other readiness procedures, visit www.ready.gov.